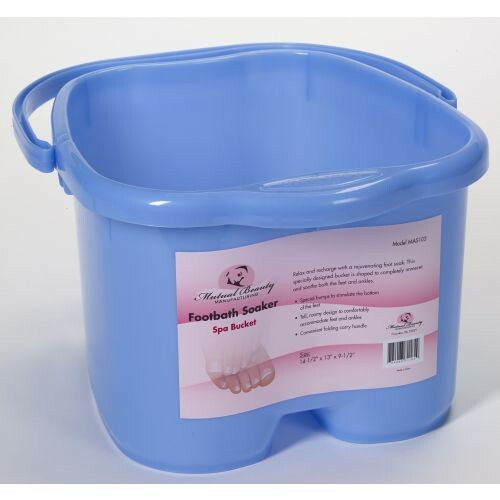 The Footbath Soaker Spa Bucket is a item used to rejuvenate rough and tired feet. The bucket completely fills various feet and ankle types with water and soothes the feet and ankles as well. Also, the foot soak bucket has a carrying handle allowing a user to take the bucket on the go! The color of the product comes in different colors!